Love your writing prompt packet? Get the Fall Writing Prompt Bundle Right Now! On Sale Now! Buy now before the price goes up! 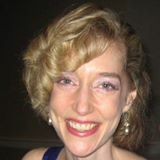 I am delighted to have purchased the (Spring) Writing Prompts!! This is my first experience doing this sort of thing and I couldn’t be happier!! (I’m “old school”) Thank you for all the great ideas! This is such great value… and I am so excited I have all my writing centers planned through Thanksgiving! This is so easy and I know the kids will enjoy it too! I love that the prompts are all on cute paper.. it will be easy to make cute bulletin boards highlighting the student writing this fall! What is included in the Short Vowel Word Family Download? 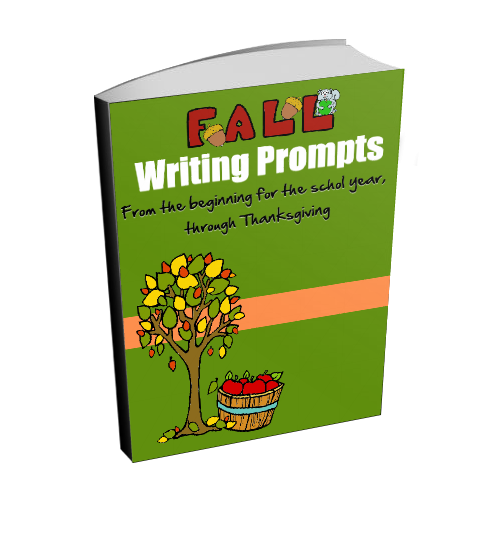 There are over 95 writing prompt and over 380 pages in our Fall Writing Prompt Bundle. 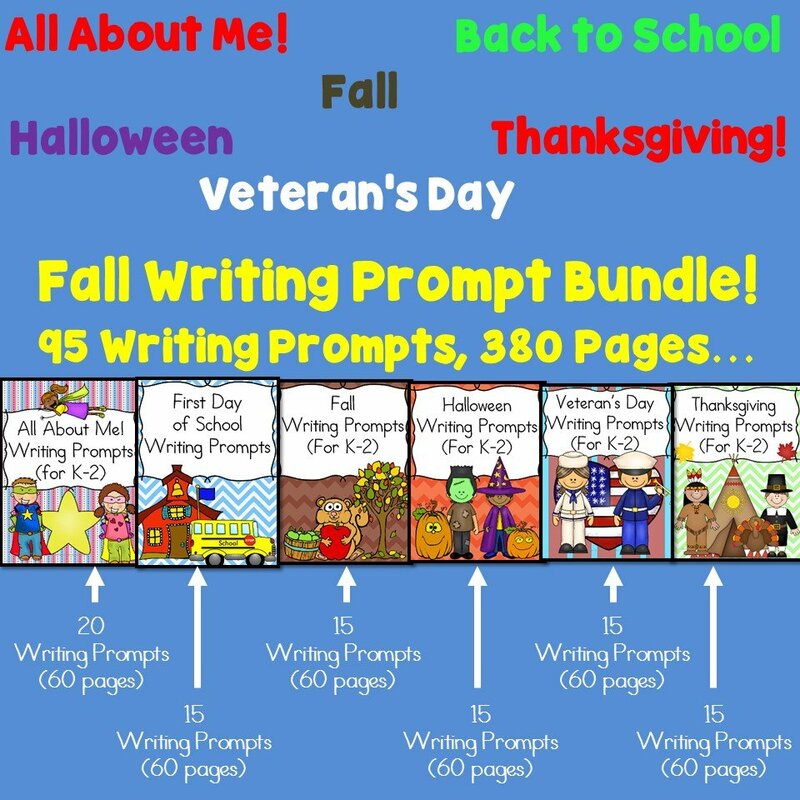 There are 6 different packets of writing prompts: All About Me Writing Prompts, Back to School Writing Prompts, Fall Writing Prompts, Halloween Writing Prompts, Veteran’s Day Writing Prompts and Thanksgiving Writing Prompts. 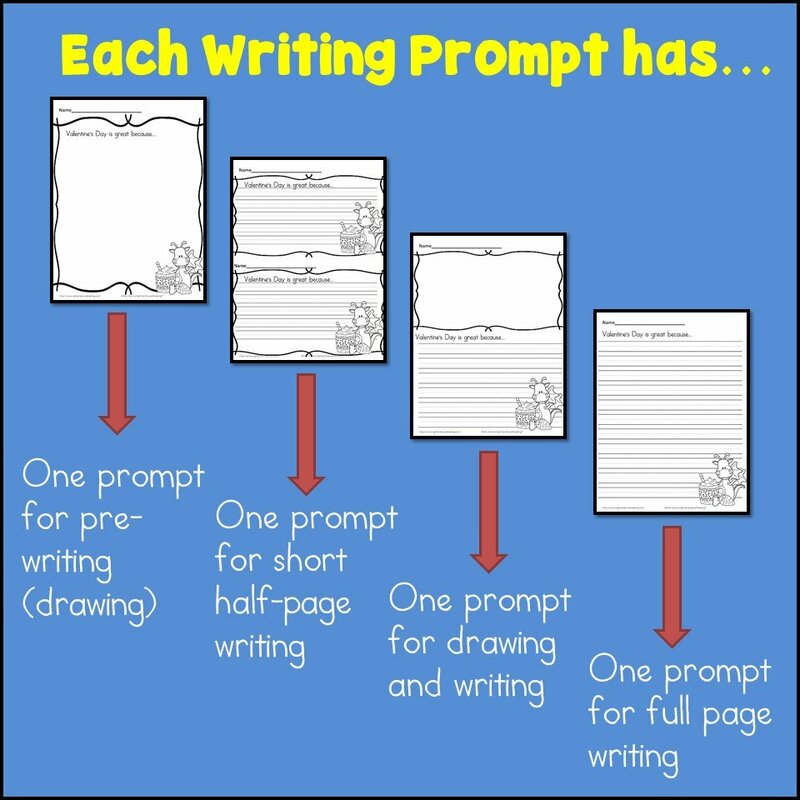 Each prompt has 4 different pages, modified so that each writing level can write the same prompt. Students can just draw a prompt, or write and draw a prompt…or just write the prompt. Download the free sample to see examples! What if I lose my copy/something happens to my computer? You can ask for another download! Also, you can keep your email in which you receive your download link so that you can download it elsewhere or again. The only thing we ask is that you not share the link with others… (this would violate our copyright terms). You purchased it and you deserve the access you need to it… if you need to download it again. 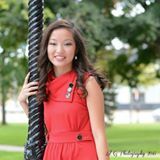 We can get you a new copy if something happens, or you can re-download with your link. What if I have any trouble getting the download? 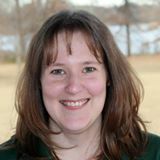 If you have any trouble, you can always email me and I am happy to help you. Immediately after purchase, you will get an email with your download link. If there is any trouble, you can respond to that email and I will help you. You should buy here instead of TpT For 2 reasons… 1) You save money by purchasing them here and 2) I love to spoil people rotten. I don’t know who purchases things on TpT, so I can’t send them extra freebies and related products. I love to support people who support my site and I do this by spoiling them rotten with freebies and fun. What if Changes are Added to the Pack? We will send you an email with a download of the changes. Yes, you can buy all of these activities on TeachersPayTeachers but you have to purchase them separately. Buying them together saves you money. Immediately after purchase! Once you pay through PayPal, you will receive an email with your download link. You can keep that email and link and download it to another computer or – save it for safe keeping for keeping for later.